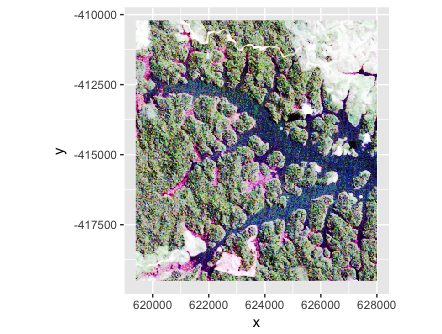 I am trying to use ggplot2 to map a polygon feature class over a raster brick (created from multiple Landsat band images). 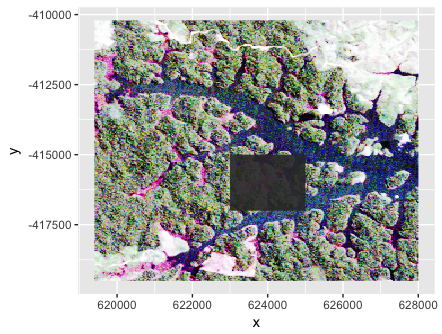 I'm able to map the polygons and the raster separately, but when I try to have them together (following the last code chunk at http://bleutner.github.io/RStoolbox/rstbx-docu/ggRGB.html RStudio crashes (even after restarting the computer). 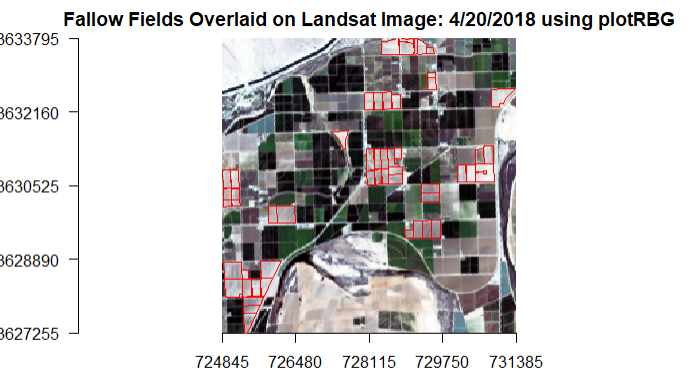 replacing the data frame (fallowFieldsDataFrame) with the shapefile (fallowFieldsWGS84) works, but it warps the Landsat image. The cropped image and shapefile are in the same projection, but the shapefile seems to be warping the raster. 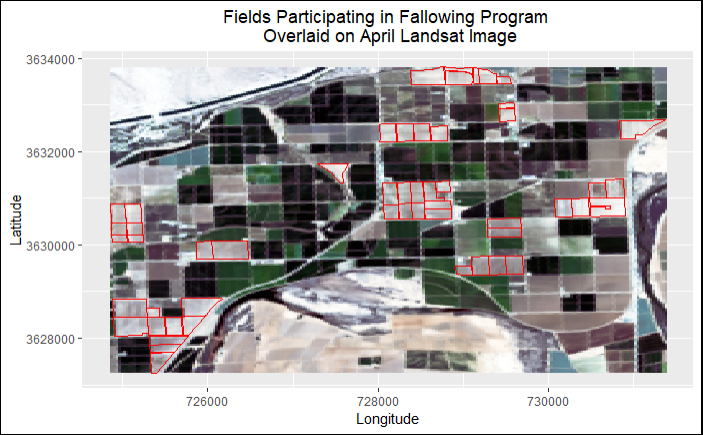 Is there a way to plot the shapefile over the raster without warping it? 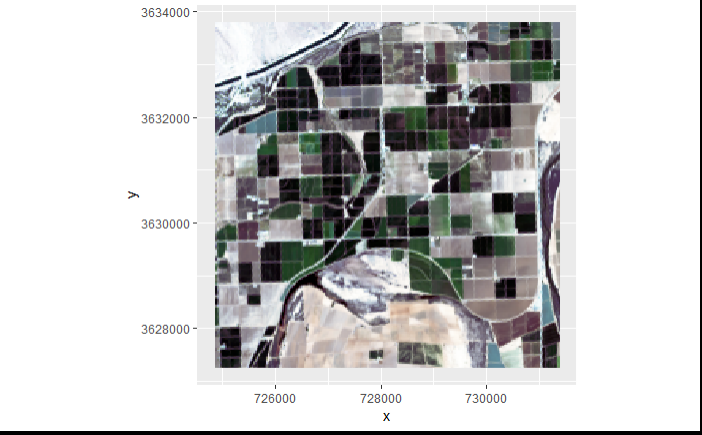 It doesn't get warped with plotRGB, but I was hoping to use ggRGB so that I could make a more elegant map with gglot2. Not the answer you're looking for? 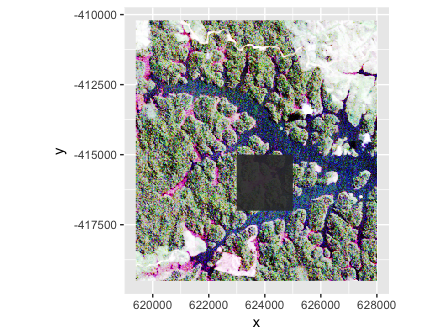 Browse other questions tagged raster coordinate-system r ggplot2 or ask your own question. How can I create a choropleth from the 2010 census ZCTA shapefile using R and ggplot2? Rasterizing getCover not working in R? 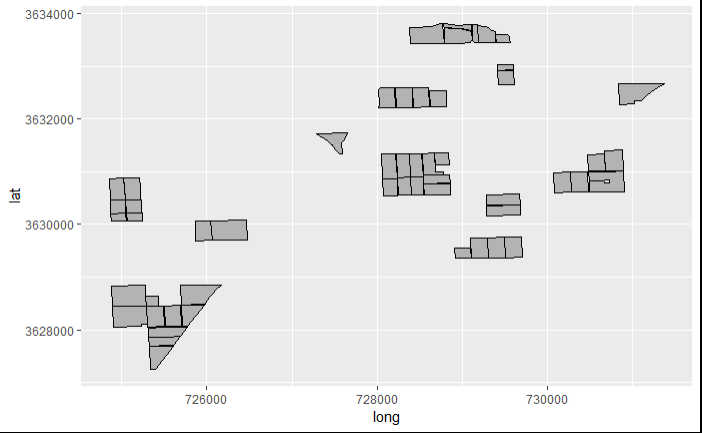 Combining postal codes into sales territories by value using R and ggplot2?